There was a number of e cigarette brands like the VIP e cig, Gamucci electronic cigarette, Nicolites, E-Lites E cig and Sky-Cig that have been marketed extensively with substantial advertising and promotion and in some instances the quality and performance of their products may not live up to expectation. Promotion also includes VIP or Vype discount codes freely available over the net. In this section we review the PR budget spend and compare the quality of the e cig being sold. The VIP e-cig advert on TV may be controversial but would have cost VIP an arm and a leg and shows us what e cig brands are prepared to do to get us to buy their products. But were their vaping products quality e cigarettes? What happened to the old brigade? Many of the e cigarettes brands that first filled our shelves have gone, some say they were very disappointing and perhaps many would-be vapers simply failed to transition to vaping because these e cigs just did not live up to to the job. But what happened to them? Lorillard Tobacco bought Skycig and it was subsequently dissolved in 2014, blu took over the banner is now in the UK. Japan Tobacco (Benson & Hedges & Camel) bought E-Lites in 2014 and changed the name to Logic Vapes. VIP Vaping went into administration in 2017 after unpaid tax, Victory Electronic Cigarette Corporation, an American company subsequently bough VIP e cigarettes for a reported £30m. Tobacco giant Philip Morris (Marlboro) bought Nicolites in 2014. Read the updated reviews of their next gen e cigarettes developed by big tobacco. With the likes of E-Lites e-cig doubling their marketing budget for 2014* according to CEO Adrian Everett. Everett says that until last year the firm had focused on being educational in marketing, but it is now focusing on emotion. VIP e cig advert “Put it in my mouth” outraged many viewers according to The Independent. Make no mistake the big e-cigarette companies may well focus on marketing emotion to get us to buy their cigarettes and not necessarily focus on better quality e cigarette products. More big PR budgets for 2015. E Cig companies are looking to grab market share in this early stage e vapour boom and there is no better way than PR marketing/advertising. Will improving the quality of their e cigarette product also attract these large investments – I doubt it! 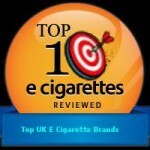 We take a look at some e cigarette review sites and see what they tell us about some of the better known (marketed?) e cigs like the VIP e cig in the UK so that you can make up your own mind. 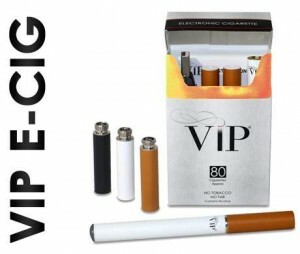 VIP are one of the older e-cig suppliers in the UK with a retail distribution and on-line presence. They have spent a lot of money on PR but do their vaping products live up to their PR spend? Marketing/ad spend: 2014/2015 £4million ++? revenues of over £15 billion and with pockets that deep this brand will be heavily advertised and marketed to us and it is up to us to ensure the vape product is as good as the PR will suggest. Find out what we think! Vype hype or a good quality vape? The real let down.. the life of the cartomisers and price of the refills. Not good value. Very small and cig sized. ePen too loud when vaping! Do you remember the “Gangnam style” dancing baby advert on TV 2013. More importantly do you recall that it advertised an e cigarette – E-Lites. If not then perhaps the PR spend was not as effective as one might hope. By the way – this was an important landmark ad. It was the first advertisement relating to smoking seen on UK TV for almost 50 years! (since 1965). 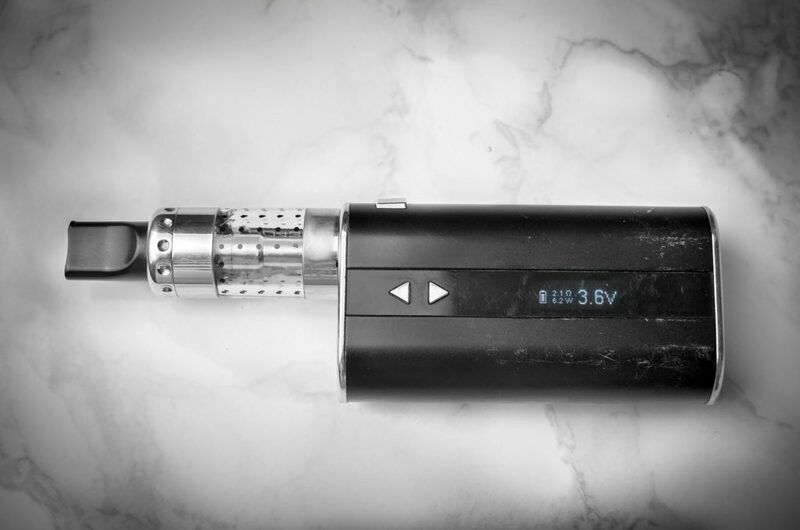 One of my first e-vapes in 2012 was using an E-Lite – sadly it didn’t last very long. The product worked for a few days before it just wouldn’t hold charge. E-vapour production was dismal. Looking at some of the more recent review site comments and user comments – they are still very expensive on the running costs – refills are around £8.00 for 2 and they don’t last as long as E-Lites suggest. Of 67 user reviews E-lites got a poor 3.1 stars out of 5 stars**. Key here is the E-Lites CEO comments on the PR campaign ie “focusing on emotion”. Lets hope there is also a focus on producing a quality e cig product too. 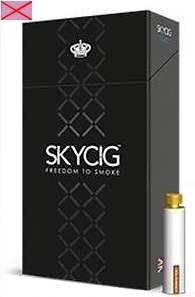 Sky Cig e cigarette review. Big Money on e cigarette marketing. All in all I remain a sceptic. Whilst marketing and advertising is important to ensure brand awareness there doesn’t seem to be much point if the brand we are being made aware of is not a quality e cig product. The VIP e cig and E-Lites adverts may be costly and controversial but does the VIP electronic cigarette match up? The market has been flooded with cheap low quality product at the consumers expense – this in an effort by the e-cig sellers to make a quick buck. There are countless stories all over the web where consumers have had to buy a number of e cigarette kits before finding one that was adequate. Many simply turned to the big ego type in desperation. It is good to know that technology has caught up and we can now get quality in a proper size e cigarette and at a reasonable price. With the new TPD rules now in force May 2017 effectively banning e cigarette marketing big tobacco will have to find another way – acquisitions? 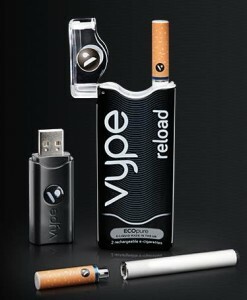 Your next step: See the V2 Cigs review. The most popular e cig from all the review sites polled is V2. Their innovation, ease of use, vapour production and e liquid quality sets V2 Cigs apart from the crowd. We also need now to focus on what it is we are vaping and putting into our lungs – what’s in yours? Like e cigarettes – are those e liquids poor quality and just there to make money for the manufacturers – who ensures the ingredients are pure and fit for us to consume? Read our e-liquid review page. A clear guide to getting a quality e cig and the best e juice to vape with. Vype, blu e cig, E-Lites, Nicolites, VIP electronic cigarettes etc all have different costs and can tick certain boxes – see the review guide comparison chart where we review and compare some of the more important aspects of some well marketed or better known e cigarettes. “The ASA has received a significant number of complaints about two TV ads for VIP electronic cigarettes,” an Advertising Standards Agency spokesman said. Miguel Corral, co-owner of VIP E Cigs, told the Daily Mail: “I think it’s safe to say that our ads could be considered controversial and definitely push boundaries. The TV adverts for E-Lite electronic cigarettes were banned by the ASA in September after it said the company did not make it clear that the products contained nicotine.